Engaging Chinatown in the Equitable Rezoning Campaign to build a community envisioned by the long-time residents that is sustainable for the long-term. CTU at the 2015 Manhattan RGB Hearing that won NYC its first Rent Freeze in 46 years.Why We Need CTU! Over the last 15 years, Chinatown has has lost over 20% of its Asian residents and 15,000 affordable housing units due to escalating rent and displacement. Expensive lofts, luxury condos and hotels now replace the garment factories and large swaths of affordable apartments that once characterized the neighborhood. Landlords contribute greatly to this problem by using such tactics as withholding basic services or launching frivolous eviction proceedings to force tenants out of their homes. Developers receive government subsidies, but exploit loop-holes to not build affordable housing. Pressuring the city to allocate $14 million towards building open green space for residents along the East River Waterfront, instead of its original plan of high-end stores and private development. 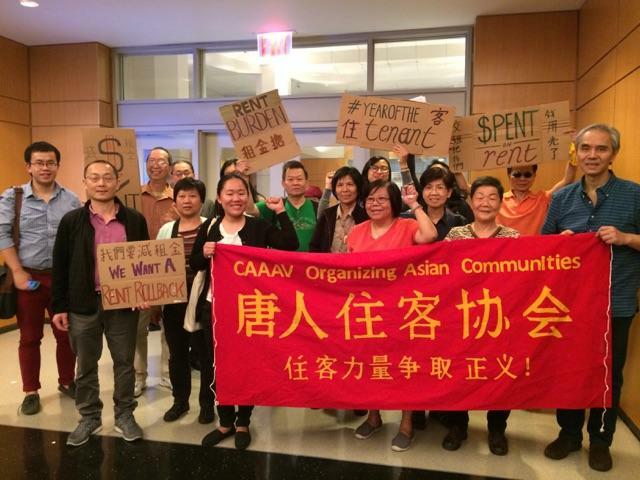 DONATE TODAY to protect Chinatown as a home for low-income immigrants.